Here at Busy Bees Bury St Edmunds, we have been celebrating Valentines Day in a very special way. 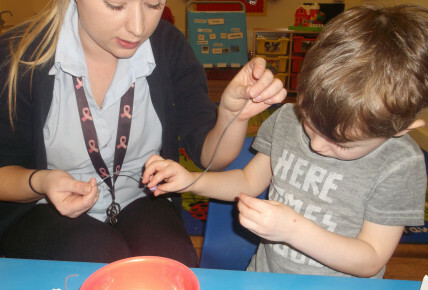 The children in our Pre-School Room have been making special Friendship Bracelets for someone of their choice. 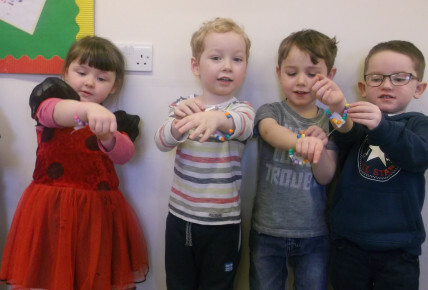 Using a variety of coloured beads, the children were able to choose which colours they would like to use and which order they would like to put them on the bracelet. 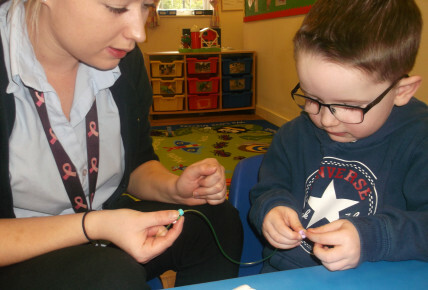 Along with a special Valentines Card, they were able to give their special creation to someone special at home.